Even though the elderly population (defined as 65 and older) make up nearly 14 percent of the US population (in 2015), they account for over 16 percent of all suicide deaths in the US. This is an alarming statistic, particularly because the number of Americans aged 65 and older is projected to more than double from 46 million today in 2016 to over 98 million by 2060. While of course the statistics are different, the elderly are at high risk for suicide in most countries throughout the world. Thus, late life suicide is a cause for enormous concern that warrants ongoing attention from researchers, health care providers, policy makers, and society. However, while this age group is at a significantly increased risk for suicide, it is the least studied and most widely misunderstood, often from the ageist misperception that the wish to die in old age is somehow normal and understandable. In fact, as explained in this pioneering book, available evidence clearly indicates that suicide in this age group is often associated with treatable mental and physical illnesses and that there is considerable scope for prevention. Now I Lay Me Down: Suicide in the Elderly takes an in-depth look at how to recognize, respond to and prevent suicidal behavior in the elderly. The full gamut of treatment interventions is explored, from group, family and individual therapy to the careful use of drugs. Special attention is given to working with residents of long-term care facilities (who are at high risk for depression and suicide) and assisting their families. The editors of this multi-authored work (world-renowed suicidologist, David Lester, PhD and Margot Tallmer, Professor of Psychology at Hunter College, NY), and its 15 contributors call on all those involved in the care of the elderly —healthcare and mental health professionals, family members, and others—to share their concern about suicide in the elderly and to become aware of the effective new diagnostic and therapeutic programs designed specifically for the elderly and how to implement the new methods and concepts of suicide treatment and prevention for older adults. It has become increasingly clear during the past decade that suicide is not a monolithic condition.  Rather, it seems to represent several different entities, sharing only a common in point: self-inflicted death. In nearly all countries, the elderly have the highest rate of suicide of all age groups—higher than adolescents and those in mid-life—yet they attract much less attention from the media, mental health professionals and society as a whole. Indeed, suicide among the elderly has been practically ignored by all. This paradox can be attributed to many causes, but the key factors are a general lack of understanding of the elderly, the erroneous assumption that old age is this sad period in which depression is normal and to be expected, that older people are ill-suited to psychotherapy, and that attempting to prevent elderly suicide makes little sense because old people won't usually live much longer anyway. In addition, there continues to be an almost total absence of care provided to elderly persons who make nonfatal suicide attempts and research on older people who have committed suicide remains scarce. All of these reasons (and many others) for not vigorously treating the suicidal elderly have been shown to be fallacious; in fact, there are now, diagnostic and therapeutic programs designed specifically for the elderly that have been very effective. Unfortunately, many are unaware of the these programs and do not know how to implement the concepts of suicide assessment, treatment and prevention for the elderly. In a groundbreaking effort, Now I Lay Me Down: Suicide in the Elderly discusses in detail how to recognize the suicidal behavior specific to the elderly and how to respond to it—methods that differ significantly from those used with other age groups. The book also describes the full gamut of preventive treatment methods needed to effectively respond to suicide in this age group–from symptom assessment methods, to individual, family and group therapy, the use of drugs, the role of the social worker, gender differences in counseling, caring for those in long-term care facilities, and also caring for survivors of suicide. In the field of late-life suicide, there is no other book that contains such a wealth of current information or compares, in terms of scope, depth or range of topics. It should be read by all those involved in the care of the elderly. Family members too will benefit from the book’s insightful and thoughtful understanding of the elderly. The elderly are a valuable part of society but one that has been horribly neglected. The notion that suicide among the elderly is a health issue not worthy of the time and money it requires is very successfully challenged by this book. 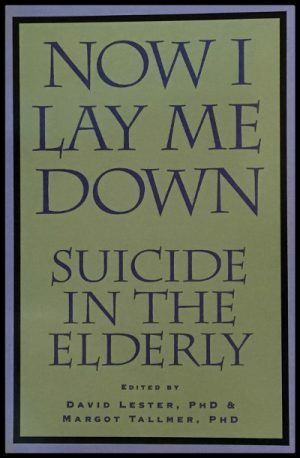 With Now I Lay Me Down: Suicide in the Elderly, 16 authors from different countries, disciplines and settings offer a broad approach to this area of suicide that has been, until now, so sorely underserved. “Valuable for professional caregivers, interpreting in a helpful and practical way a decade of research on geriatric suicide. It reminds all of us of what is coming as we age and warns us that we need to develop coping mechanisms. But most importantly, it reminds us that in all families—in any relation—there is “the potential presence of growth and healing forces (p. 68). The books challenges us to nurture those forces and thus to lessen the dangers of depression and suicide for others and for ourselves. "Contains valuable insights and information for the discerning reader."